The diagnosis that your beloved pet has canine liver cancer is as initially devastating as hearing it about any other family member. Yet, there is cause for hope because just as advances are being made in human medical treatment, they are also being made in the medical treatment of dogs. While the news may initially be grim, the outcome no longer carries with it an automatic death sentence. Liver cancer can occur at any time over the course of the dog's life. It can occur in any breed or age group although it tends to be found more with older dogs. Golden Retrievers also tend to get liver cancer in combination with other cancers metastasizing in the body. What makes it particularly insidious is that the symptoms it causes do not generally become grossly evident unless the cancer has already progressed. However, before considering the symptoms, it's time to address what the liver does. The liver in humans, dogs, and most creatures is there to act as a filter to help the body remove toxins and potentially dangerous substances. By doing so, it aids the body in retaining energy, vitality and overall general health. The liver has a dual blood supply from the hepatic artery and the portal vein so it can perform its function at top efficiency. Yet, this also makes it vulnerable to encountering cancer cells from other areas of the body through the blood supply. Primary canine liver cancer means that the cancer started in the liver itself. This type of liver cancer usually does not spread, but it is not the most common type of liver cancer. Metastatic canine liver cancer is the most common form where the cancer has spread from another organ in the body. Metastatic liver cancer generally causes multiple masses in the liver. There is a good chance that the masses themselves will be benign. Most medical literature cannot identify the main cause of liver cancer in dogs. VetInfo suggests the theory that absorption of pesticides and environmental chemicals containing carcinogens may be linked to the disease. There are also theories that exposure to toxic substances may compromise the dog's immune system. These toxins can be found in dyes, household chemicals and even the ingredients in some commercial pet foods. Spoiled food and fungi can also be a source of these potentially harmful substances. While there is no definite link yet, common sense dictates household and outside yard chemicals be kept away from a pet as you would a child. Another source of liver cancer is cancers from other areas of your dog that spread to the liver. These symptoms are progressive and do not abate, but instead grow worse over time. A common feature of liver cancer is hemangiosarcoma, which is a type of malignant tumor. Hemangiosarcoma can metastasize quickly and rupture. A dog liver tumor rupture can be fatal due to hemorrhage created by the rupture. Hemangiosarcoma can remain undetected until a rupture at which point effective interventions are limited. 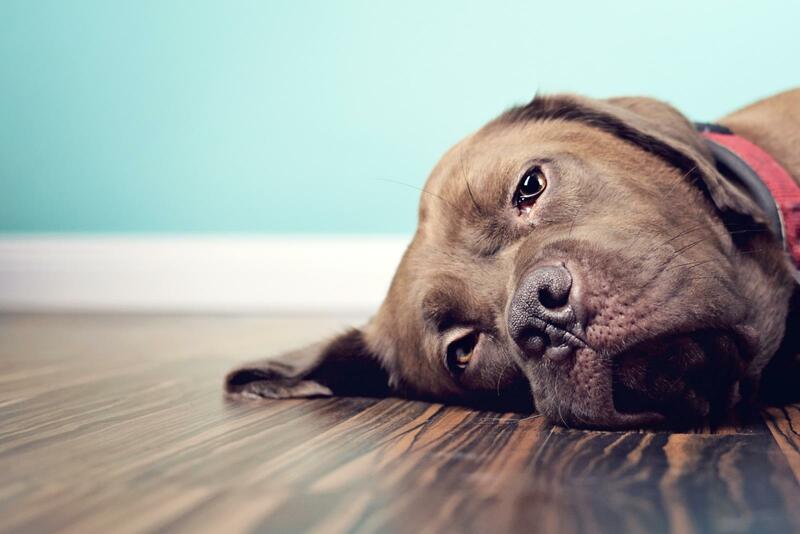 Dogs experiencing a rupture will collapse, often "out of the blue," which is caused by internal bleeding. Another type of tumor associated with liver cancer is a hepatocellular carcinoma, which is found within the liver tissue. The malignancy and rapid rate of growth of these tumors mirror that of hemangiosarcoma of the liver. Liver cancer is diagnosed through a series of tests performed by your veterinary clinic. This includes blood and urine tests and ultrasounds or x-rays of the liver. If tumors are present, your veterinarian may want to do a biopsy or a fine needle aspiration to examine a sample of the tumor. These samples are sent out to specialized labs to be examined by a veterinary pathologist for signs of disease. It's important to have your dog properly diagnosed by a veterinarian as there are many serious conditions that affect the liver in addition to cancer. Treating canine liver cancer often involves surgery, although other treatments can also be used. ‎ This type of cancer is usually treated by surgery if there is only one tumor that has not metastasized yet. Removal of tumors in the liver is known as a lobectomy. 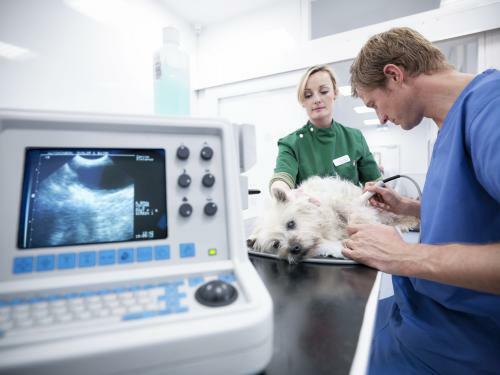 Just as in humans, your dog will need diagnostic imaging which could be x-rays, CT scans, ultrasound or an MRI. Blood work and urinalysis prior to surgery will also be needed. Up to 80 percent of a dog's liver can be surgically removed and still be able to function and will, in fact, regenerate over time. A dog's prognosis after removal of the tumor can be about one year or more post-surgery. While this is a very invasive procedure, it does have a high success rate of over 90%. One concern will be a dog liver tumor surgery cost in dollars which can be considerable. Surgery can run from about $9,000 to $15,000 depending on whether it also includes additional treatments like chemotherapy and biopsy and imaging services. You can reduce the cost of the surgery by several thousand by eliminating combining chemotherapy or radiation therapy with it but this does bring the chances of success for your dog down. Other treatment methods include chemotherapy, radiation, and medication. You should discuss all the options with your veterinarian. Sometimes owners are tempted to make choices that are good for them but may not be the best option for their dog. Instead, you must speak for your animal friend and choose a treatment plan that is beneficial to your dog's long-term prognosis and overall well-being. 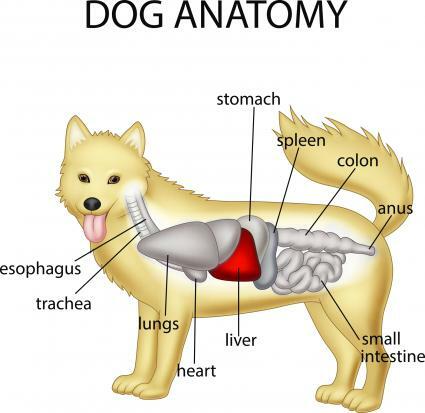 It is also very important for dogs with this condition to follow a special canine liver disease diet. These diets provide more essential nutrients that a dog needs and lacks when the liver does not function properly. There are also several foods such as fish oil, turmeric, and some berries that are said to have beneficial effects on dogs with cancer. Work with your vet to determine the best diet for your pet. Also, let your vet know right away if your dog that has liver cancer won't eat or shows a significant decrease in appetite. Dogs with one hepatocellular carcinoma in one lobe that have surgery have a higher survival rate of 15 times that of dogs who do not have it removed. The average lifespan after surgery in this situation is 3.8 years. Multiple tumors in more than one lobe greatly decrease a dog's prognosis. At this point, surgery is not an option, and the dog is usually treated with diet and steroids to reduce the dog's discomfort. In this situation, the average lifespan post diagnosis is 270 days. While surgery and palliative care can help prolong your dog's life, it's important to know the signs of the final stage of liver cancer before death. At this point, you will need to discuss the difficult decision with your veterinarian to keep providing care for your dog and his level of comfort. Dogs at this point will show signs of rapid weight loss, poor appetite, seizures, lethargy, and behavior changes. You do not have to deal with this painful time alone. There are many support groups online for owners of dogs with cancer such as the Canine Cancer community and the National Pet Cancer Support Group on Facebook. As the true etymology of the disease is unknown, there is no known way to prevent liver cancer in dogs. Plenty of websites exist that tout the use of dog supplements and vitamins. They start out by sounding knowledgeable and giving the disease's particulars and just as quickly turn out to offer miracle cures. Work with your veterinarian instead, and pay attention to your dog's diet and exercise routines, and provide regular care from the start of your life together. All these factors play a role in overall dog health care and the happiness of your pet.